General Description (including any cosmetic blemishes): a few scratches on a couple of them. Another is nearly flawless. Three are strung; one with a fresh set of poly, another with a worn set of Tonic, and the last with a hybrid which includes Tonic. The last frame is unstrung. The only trades I’d consider are for Prince Mono in a 4 3/8 or smaller and Babolat Pure Aero in 4 1/8. Here are pics of the Tour models. I tried to point at the blemishes. The Tour versions are sold. Here are pics of the regular versions. Feel free to make an offer. 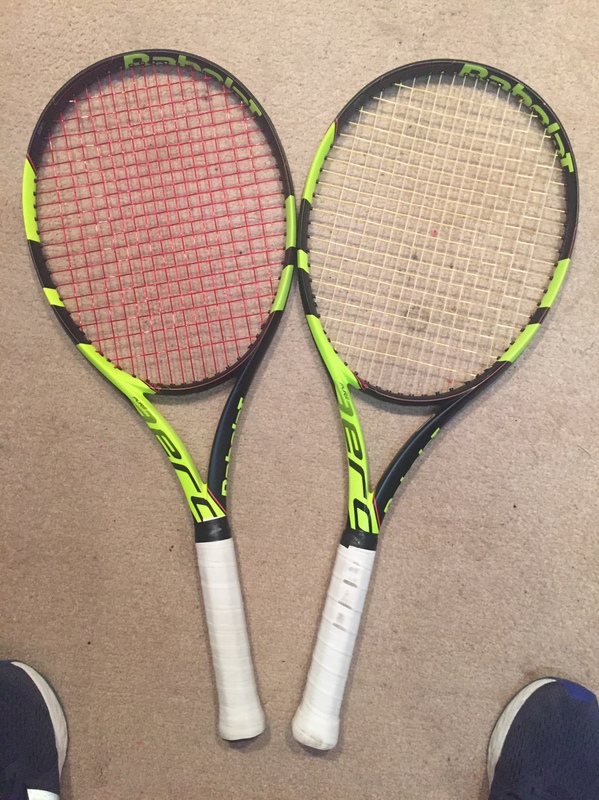 I am interested in the non-tour versions, tell me what’s the lowest you can go for both the rackets.